If you should find yourself in a situation with a court that requires you to purchase a bond to proceed, you may not know what to do. It is our goal to help you understand how to get an Appeal/Supersedeas Bond with this information. What is an Appeal/Supersedeas Bond? 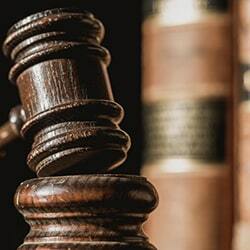 Judicial Court Bonds may have many names, but they all function similarly by guaranteeing the performance or obligation of one party in a lawsuit. The bond is for the protection of the other party in that lawsuit, and works like insurance. Appeal/Supersedeas Bonds are filed with the court by a party against whom a judgement has been rendered in order to stay the execution of judgement pending an appeal to a higher court. The bond guarantees satisfaction of the judgement if it is upheld upon appeal. What are the requirements to get an Appeal/Supersedeas Bond? Depending on the amount of the bond, the surety underwriter will require financial statements from your business, personal accounts, or both and a suitable credit score that will support the request. The surety company will approve the bond and it can be issued to you once the collateral requirements are in place, and you can then present it to the court and continue with proceedings. Why is collateral required for Appeal/Supersedeas Bonds? Judicial Court Bonds generally represent more risk because the possibility of payout is much higher. This is particularly true for Appeal/Supersedeas Bonds since you have already had a judgement made against you. Therefore, collateral reassures the surety underwriter that you can cover your debts. Most surety companies require that you have 2 to 3 times the bond amount in liquid assets in the form of cash or an Irrevocable Letter of Credit (ILOC)—it does not include real estate. How much does an Appeal/Supersedeas Bond cost? State laws determine the amount of the bond, which is generally based on the estimated amount of the estate or assets being managed. The cost of an Appeal/Supersedeas Bond is usually 1.5 to 5 percent of the bond amount. How quickly will you receive your Appeal/Supersedeas Bond? At a minimum, the surety bonding agency will need 2 business days to connect with their network and find the best surety company to place you with. Once they do, they will alert you to the premium amount and take payment at your earliest convenience. Final bonds can be overnighted via UPS or FedEx, depending on your needs and the court’s requirements. Who do you contact for an Appeal/Supersedeas Bond? Brunswick Companies is a full-service, national surety bonding agency, licensed in every U.S. state. Our surety specialists provide responsive, knowledgeable assistance to attorneys and other individuals in need of court bonds. Our Surety Bonds Team has extensive experience in providing court and appeal bonds. They have developed strong relationships with the leading surety bonding companies to provide our clients with access to more favorable terms and conditions. Call 800-686-8080 to speak with a member of our Surety Bond Team to begin the process of obtaining an Appeal/Supersedeas Bond.